From exploring the depths of a mysterious subterranean world to bargaining in a Mekong market, from sleeping under a bamboo roof in the mountains to scaling waterfalls in the Central Highlands, Vietnam is bursting with exciting things to do. In this XO blog post, we outline the most amazing activities across the country – from the thrilling to the serene – in order to create your ultimate Vietnam bucket list and perfect Vietnam itineraries. Dalat might be famous as a former French colonial hill station in the Central Highlands, but these days it’s becoming the extreme sports capital of Vietnam. The rugged, mountainous terrain, forested hillsides, and mild temperatures make it perfect for outdoor activities: in particular, canyoning. Regular rainfall creates dozens of rivers and waterfalls in the area: canyoning essentially involves following the course of a river: clambering over boulders, climbing up rock faces, being taken along by the current, and – most thrillingly of all – abseiling down waterfalls. Street food is a highlight of Vietnam, and Saigon is the street food capital of the country. Every night, thousands of informal eateries, serving hundreds of dishes, grace the city’s streets. The variety and choice are dizzying. 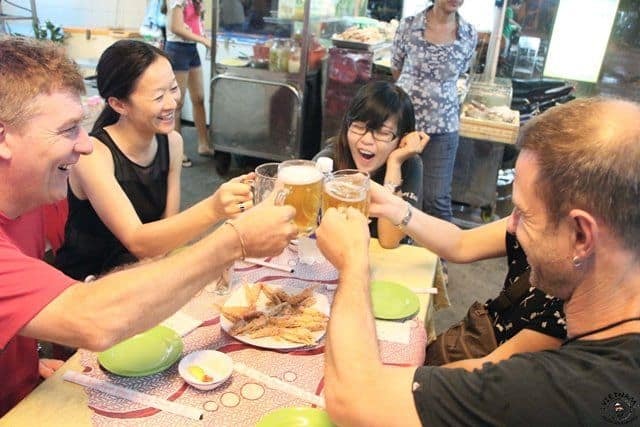 But don’t worry, street food tours do all the hard work for you, and XO’s Foodie Tour is the original and voted the best Vietnam food tour by Forbes magazine! As the neon lights of the city flicker on, we roll our guests out on the backs of our motorbikes, and head to the lesser-known districts, where all the best street snacks are found. From the classic to the unusual, our all-female staff will guide you through a culinary adventure of Vietnamese flavours, textures and colours. A night in a traditional wood, bamboo, and palm-thatched stilt house, perched on a mountainside or in a verdant valley of rice fields, is unquestionably the most romantic accommodation in Vietnam. Nestled in the Tonkinese Alps of northern Vietnam, homestays offer a genuine glimpse of rural life, and the chance to interact with Vietnam’s significant population of ethnic minorities. Prices are typically around $10 per person and include delicious home-cooked meals. 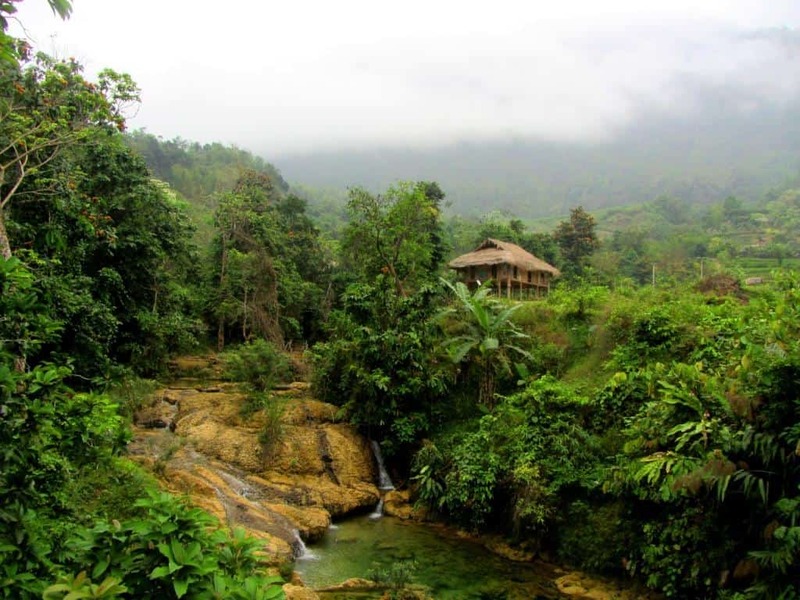 Sapa and Mai Chau are famous homestay hotspots, but for a bit more authenticity, we recommend branching out into nearby Pu Luong Nature Reserve. Saigon is Vietnam’s biggest, busiest, most intense city: a cauldron of noise, food, construction, people, and pollution. But seen from the top of a multi-storey building – with a Martini in hand – the city is beautiful and serene. Many new high-rise buildings host uber-cool bars on their rooftop. Take advantage of sunset happy hours and sample a slice of the high-life. 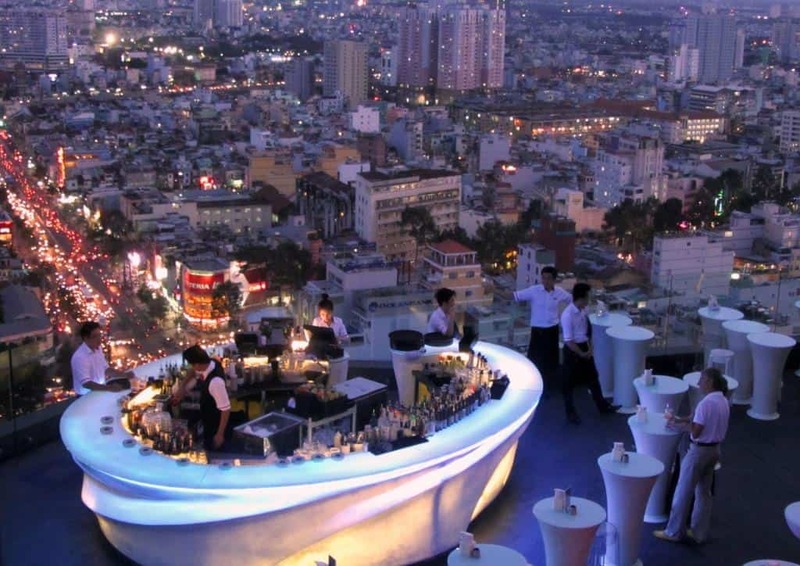 We recommend Glow Skybar and OMG Bar. In case you are done for the night, you can always use a massage to recover and get ready for the next day. Make sure you spend few minutes to read XO Tours guide to massages in Vietnam before you go to any massage parlor. Once your energy is replenished consider adding some of these exciting, day trips from Ho Chi Minh City. 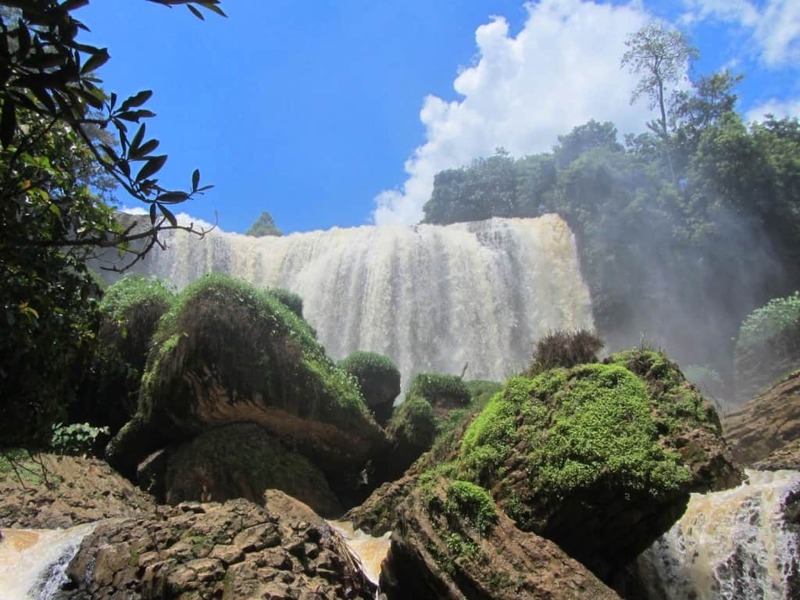 In central Vietnam, a spectacular landscape of limestone mountains covered in jungle, straddles the border with Laos. In 2009, led by a Vietnamese farmer, named Ho Khanh, a British expedition discovered the largest cave system in the world here. Son Doong Cave is on a biblical scale: great hangers carved out of the limestone by underground rivers. Inside there’s a remarkable subterranean world of strange rock formations. Extremely exclusive tours spend days trekking through the cave. 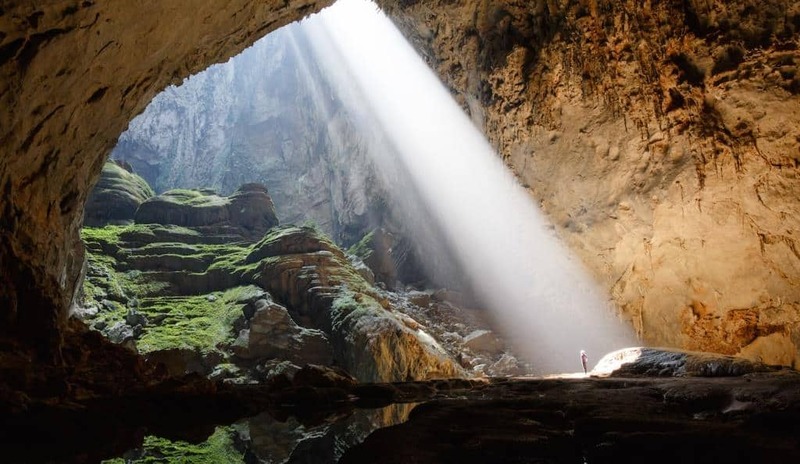 If this doesn’t suit your budget, the area boasts many more extraordinary caverns: trek to Hang En, an equally impressive cave with its very own beach and turquoise water; take a subterranean boat ride through Phong Nha, the Cave of Teeth; walk along the plank-way and admire the sparkling stalactites of Thien Duong, Paradise Cave. Oxalis and Phong Nha Farmstay offer excellent tours. Increasingly famous throughout the world, Vietnamese cuisine owes much to the freshness of its ingredients, but don’t underestimate the obsessive attention to presentation, and the sophistication of preparation, involved in rustling up some of the country’s most popular dishes. 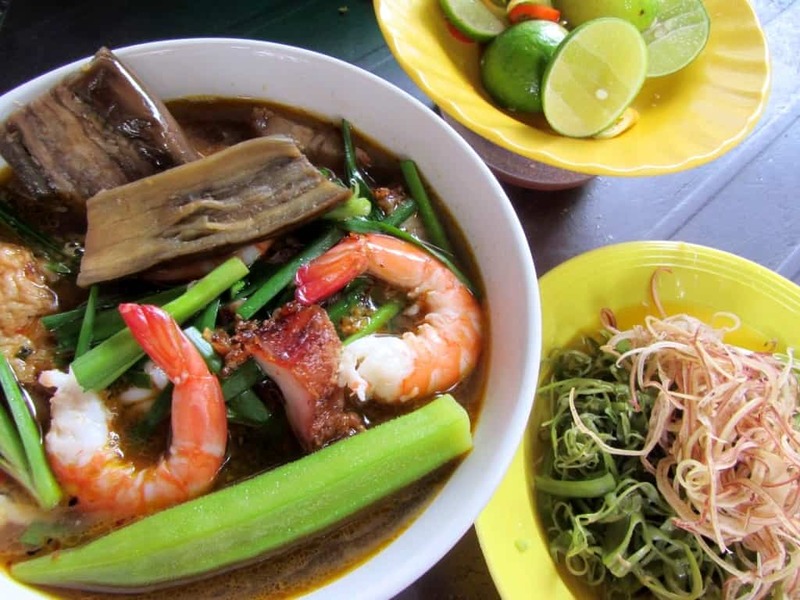 Cooking courses in Hoi An give you a chance to try your hand at making a classic Vietnamese meal. Starting early in the morning at the local market to find the best ingredients, you’ll learn plenty of culinary tricks to take back home with you. Check out Green Bamboo Cooking School for more details. If cooking Vietnamese food gives you a craving for more excitement in Hoi An, look to our Hoi An Custom Itineraries for a day for additional ideas for your itinerary. For travelers who only have time for a short trip in Vietnam, we also offer advice for spending 1 day in Ho Chi Minh City and/or 2 days in Ha Noi. An icon of Vietnam, the motorbike is the nation’s preferred mode of transport. With over 40 million and counting, motorbikes are one of the first things that any visitor to Vietnam notices. Get involved and get in the saddle: take a xe ôm (motorbike taxi) in the middle of Hanoi rush hour to experience the impossible jigsaw puzzle that is Vietnam’s urban commuter traffic; hop on the back of an Easy Rider for a tour of the Central Highlands; or go solo and hit the road on your own set of wheels, venturing into the spectacular scenery of the northern mountains. 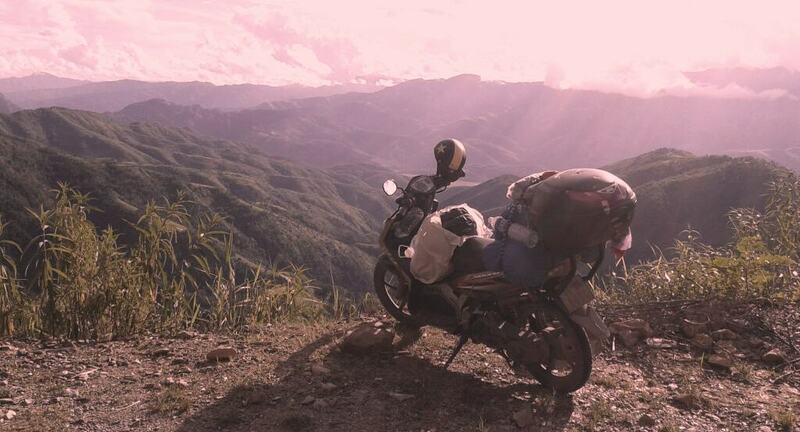 Check out Tigit Motorbikes for bike rental and tours. As one of Vietnam’s most popular attractions, Halong Bay can get crowded with tourists during the day. But at night, it’s peaceful and calm. Avoid the booze cruises, and spend a night aboard one of the elegant wooden vessels, known as junks, floating among the limestone islands in the moonlight. In the morning, watch the sunrise from the deck with coffee and breakfast. 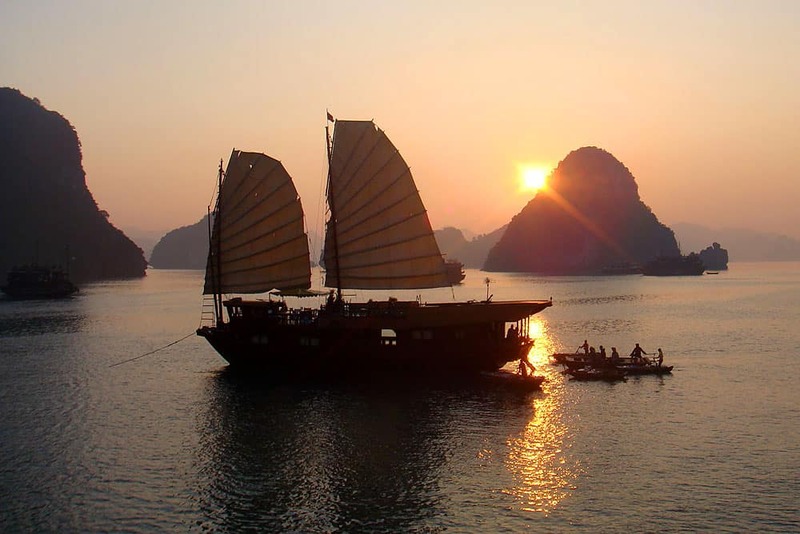 Check out Indochina Junk and Bhaya Cruises for cruise information. The last royal dynasty of Vietnam ruled from the imperial capital of Hue. After their deaths, the emperors were laid to rest in extravagant mausoleums on the outskirts of the city. Set in beautifully landscaped gardens along the Perfume River, the royal tombs are strewn over a large and scenic area, best explored by bicycle. Pedal your way through history as you ride from one emperor’s resting place to the next. 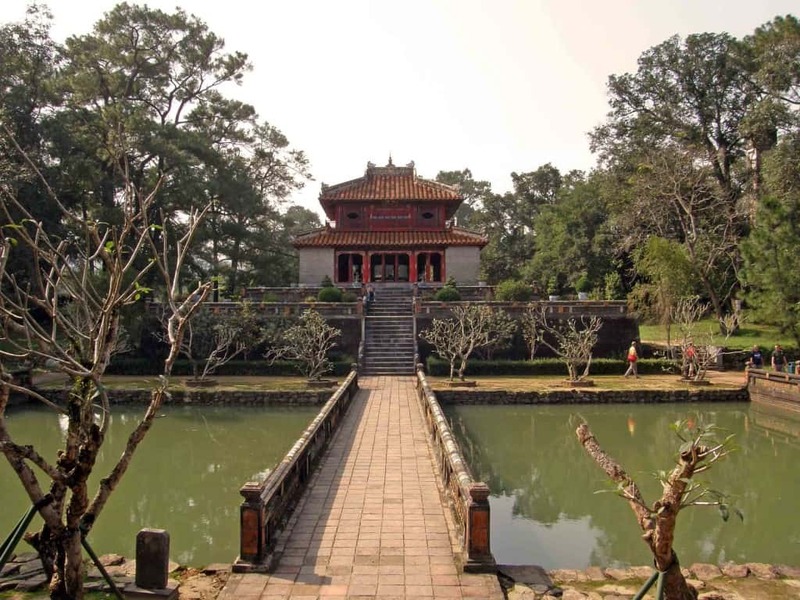 The most elaborate is Minh Mang’s mausoleum, but the most mysterious is Emperor Gia Long’s forgotten tomb, reached via a wooden boat across the Perfume River. Local markets still play a central role in most Vietnamese people’s daily lives. The Mekong Delta is home to the most colourful, bountiful, frenzied markets in the country. Prices are rarely fixed so bargaining is a rule, and this is a great chance to really act like a local. Learn a few numbers – it’s not that difficult – and try your hand at bartering. Pick up some exotic-looking fruit, ask how much it is, and let the contest begin. Be polite and keep a smile on your face – bargaining is expected so there’s nothing rude about it: in fact, it’s great fun! Our tip: settle for roughly 60% of the original price offered, and keep it friendly and good-natured. With a coastline stretching over 3,000km, you’re never far from the beach in Vietnam. The East Sea is balmy and blue year-round. Fine sand beaches, rocky coves, rugged islands, and hedonistic beach towns abound: pick a spot, and take a plunge. 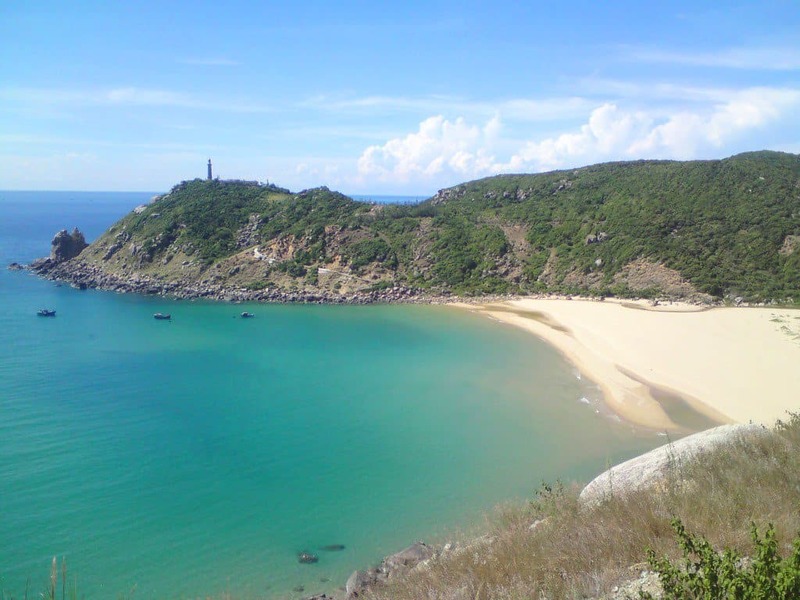 We recommend the white sand and cobalt blue waters of Doc Let, just north of Nha Trang. Whether it’s caffeine or alcohol, getting your fix in Vietnam is easy, and it’s a great way to meet local people. Coffee is typically strong and sweet, and cafe culture is thriving in Saigon. Pop into one of the many cool local cafés to get your buzz; or join locals for cà phê bệt – essentially street coffee, where students sit in public parks, socializing in the cool hours of evening: try the park near Saigon’s Notre Dame Cathedral. Beer is cheap and plentiful. In Hanoi, bia hơi (fresh beer) is served in small glasses for a fraction of a dollar, and it’s the fuel behind many a great night out: try Hanoi’s ‘Bia Hơi Corner’. Rượu (rice liquor) is especially popular in highland areas, where locals say it keeps you warm. Like a fire in the throat, rice liquor is potent stuff: it’s offered to foreigners as a prelude to socializing, especially during homestays with ethnic minorities. 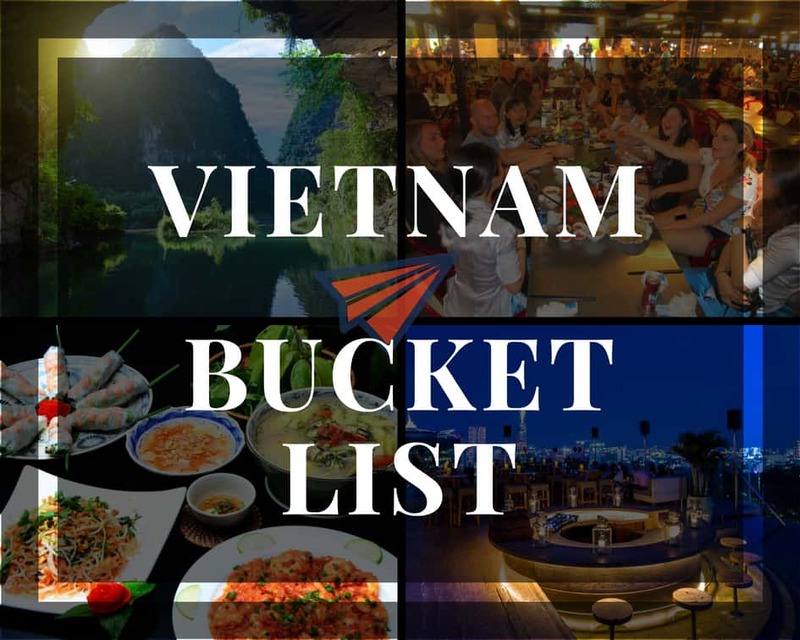 We hope this bucket list of the top 13 things to do in Vietnam helps add some fun and excitement to your Vietnam itinerary. If you travel to Saigon, and you find yourself looking for something fun to do, please check out our 4 acclaimed scooter tours. 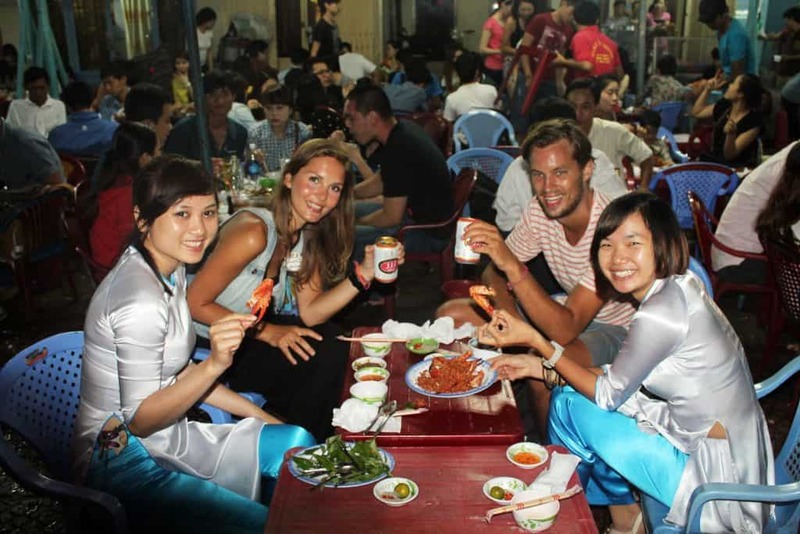 1st motorbike food tour in Vietnam and still most acclaimed food tour in Vietnam. Voted 1 of the top 9 food tours in the world by Forbes magazine. Listed in Lonely Planet, Rough Guides, and Fodors. To learn more about all our fun tours in Ho Chi Minh City and Hoi An, please visit out the rest of our travel tips. Tom Divers is the author and creator of independent travel website, VietnamCoracle.com. Tom has lived, worked and travelled extensively in Vietnam since 2005. He first visited the country as a teenager in 1999. That’s great Karina! We’ve love to have you on one of our tours!